Exploring Textures in Watercolor, by Joye Moon. 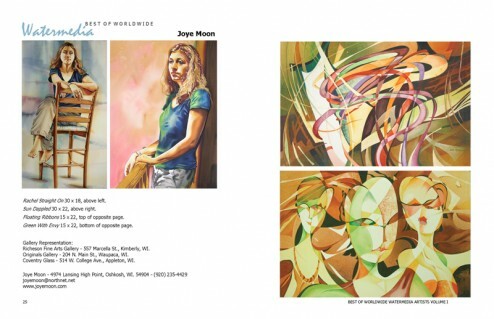 Joye’s first book is published by North Light Books and will be available November, 2008. The painting “Garden of Isola Bella” will be featured in “How Did You Paint That? 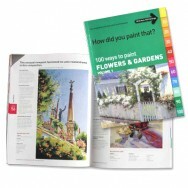 100 Ways to Paint Flowers and Gardens”, published by International Artist. This softcover book is available now. 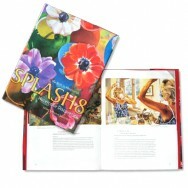 The painting ” Joye in the Morning” appears in the hard cover book, Splash 8: Watercolor Discoveries. Published by North Light Books in October, 2004. Published 6 page article, “Unleashing the Power of Watercolor” in the 1997 Summer Edition of “Watercolor” by American Artist Magazine. Featured Guest Artist in “Searching for the Artist Within” by Karlyn Holman. 176 page art book. Maimeri Paint Advertisements featuring my paintings which appeared in 6 separate ads. Published in various Artist Magazines such as American Artist, The Artist, Watercolor Magic and Watercolor.